Our volunteers from around the world are united in our mission to help end the horrific and shameful cruelty of South Korea’s dog and cat meat trade. Their compassion and dedication make our campaign possible. Shown below are just a few of the many volunteers who have helped us. Shakespeare wrote: “That which we call a rose, by any other name would smell as sweet”. And in a 21st Century take on that quote, I write: “animal cruelty, called by any other name [medicine, cosmetics, sport, fashion, profit, myths, lies or lunch] simply ‘stinks’ ”. Sadly, profit, myths, lies and lunch are the four man-invented reasons why many South Koreans, day by day, ‘justify’ the horrific cruelty that they carry out (or apathetically turn a blind eye to) on animals that have been hard-working, faithful, forgiving, and above all, loving parts of the human ‘family’ since time recordable. We all make mistakes: in the past, some people may have done things that to them, or within their society, were acceptable or right, which we now know to be unacceptable and wrong; and we, ourselves, may have ‘erred and strayed’ when we were younger. But we learn from our mistakes and move forward – this is progress. I, therefore, sincerely hope that the younger generation of South Korean nationals, wherever they live in the world, will start making progress today, by understanding that all parts of the dog and cat meat trade are unacceptable, and wrong; and I pray that they will join together as part of South Korea’s ‘future’ to help ensure that a permanent end is brought to this unjustifiable cruelty and suffering. My name is Tina Overgaard. I live in a rural town in Northern Utah. For many years, I had not felt well until one day I woke up and could not move. 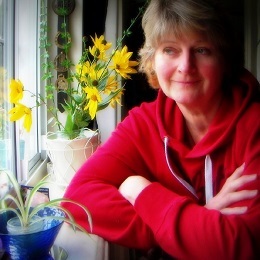 I was diagnosed with Lupus and Antiphospholipid Syndrome. I sank into a deep depression and lost the will to go on. My husband had a great idea and that was to get a dog. Along came Oakley and Odin. Every morning, they got me out of bed and took me for a walk. They saved my life. I enrolled in college and achieved my Bachelors Degree. I decided I needed to start saving dogs lives as they had saved mine. Along came Billie Jean, a pregnant feral dog living on an Indian Reservation and captured during a round up. She gave birth in the shelter and found herself on a euthanasia list. I am what they call a “foster fail”. Two years ago, I was researching dog food for my pups and I stumbled upon an article about the dog meat trade throughout Asia. I was traumatized and could not stop thinking about it. I could not sleep at night, I had to help. I could not understand how people could torture and consume our canine companions who provide unconditional love, police protection, sight for the blind, search and rescue, bomb and drug detection, military deployment, sheepherding, home protection, PTSD and Autistic Therapy, service for the disabled, cancer and insulin detection, and most of all, who had saved my life. Dogs are companions, not food. I will never stop fighting for the dogs in Korea until the dog meat trade is a thing of the past and all dogs are in loving homes living their lives like they were meant to live. Please join me in fighting against the torture, slaughter, and consumption of our beloved canine companions. Compassion through action, we can make a difference. I am Italian and have studied German Linguistics at the University in Milan. I currently live and work in Madrid , Spain. I previously worked in Mexico for four years and then Barcelona for five years. I am campaigning for cat colonies management through spaying and neutering and for adoption. I have two adopted stray cats living with me and an adopted dog living with my mom. I also look after two colonies of stray cats living on the street. 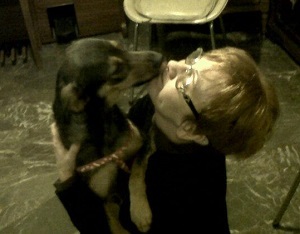 I am a member of Gestion Felina Madrid and Igualdad Animal. This year, after discovering the cruelty of the dog meat trade, of which I was before unaware, I have become fully committed to fighting against the horrific crimes committed in Asia, especially South Korea, which is by far one of the most developed countries in Asia. Now is the time to act and pressure South Korea to ban the dog and cat meat trade before the 2018 Olympic Games. Soy Argentina, vivo en la Capital (Buenos Aires). Trabajé de Asistente Social y Terapeuta Floral. Ahora tengo 63 años de edad y estoy Jubilada, podría continuar trabajando como Terapeuta, pero, tomé la decisión de dedicar TODOS los días de mi vida, a colaborar con Nami Kim y su lucha por rescatar a los perros del infierno Coreano. Yo no conocía esta crueldad. Es como visitar el infierno, y hacer el esfuerzo, de bloquear el dolor y la desesperación,cargada de impotencia y furia, digo reprimir,todo sentimiento, a fin de seguir aportando ayuda a esta máxima Misión, para mí …..ESTOY AGRADECIDA de haber conocido a Nami kim, a Giny Woo y a mis amigas voluntarias, a las que quiero mucho! Tengo una perra adoptada, que reemplazó a la que me mataron…….. Sólo una cosa pido, a quien lea mis comentarios: estoy en Twitter: @argentomaris1, visitáme, POR FAVOR, y firma´ TODAS la peticiones a Corea, para salvar a los ángeles peludos! y Dios te Bendiga a ti! We as citizens of the world speak out in protest against this inhumanity of the dog meat trade. We stand together and ask South Korea to join us in the honorable task of stopping animal cruelty across the world. We offer South Korea the chance to be part of a growing initiative to stand with integrity and moral progress. Daily we grow in numbers and in force. We will overcome the brutality that has infected our world for too long. These dogs that are butchered in South Korea are those we would call faithful companions and true friends. In many parts of the world beating and brutally killing animals is a crime and considered sociopathic behavior, and animal abuse is known as a great evil in our society. In South Korea citizens have lost their pets to the dog meat trade. They are stolen from them and never seen again. Dogs they love and consider to be family members are snatched by ruthless and uncaring hands and South Korean authorities fail to comfort or respond to the people’s cries for help. Why would these good people trust politicians and government that does not position itself as a strong and capable leader that will take care of the special needs of each person. These people need their dogs back and they grieve just as deeply as they would their human family members. We, the voice for these dogs in South Korea, challenge you to acknowledge the image you have created how brutal and inhumane you appear. Is this the face South Korea seeks to present? The face of death, inhumanity and social backwardness in thought and deed. We hope not. We hope South Korea would change its face to one of moral progress and become a nation that would stand against animal cruelty with laws that protect animals and enforcing those laws with integrity. The good people of South Korea who have had their pets stolen, await your help to get their dogs back and stop the criminals from thriving. We as the citizens of the world would stand with you in your efforts to stop the mafia from forcing their corruption and evil upon the good citizens of South Korea. We would acknowledge you as a member of moral progress moving forward with success and blessing. May we stand in unity against the horrors of the dog meat trade and put an end to the stench of all cruelty towards animals. Citizen of the world and guardian for the animals for a lifetime. 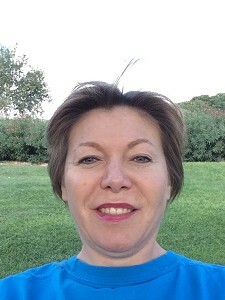 Hanne Hansen in Denmark. My name is Francie Campbell. 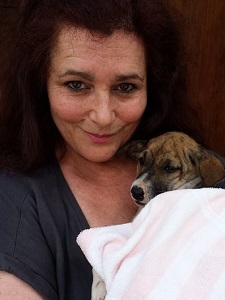 I am a teacher living in Sydney, Australia but I travel 3-4 times a year to assist dog and sometimes cat rescuers in Bali. I have a strong passion for advocacy in order to stop the animal cruelty – especially towards dogs and puppies in the dog meat trade; dog fighting and baiting; abandoned puppies and dogs; and any form of cruelty or deprivation that these lovely animals are exposed to. I also am passionate about stopping the dog meat trade in other nations – especially Korea….and will do all in my power to help! As many of us know, we are the voice for the invisible and voiceless ones! I have been an animal rights/animal welfare activist since 2010. I advocate for many animal causes, but I focus on dogs because I have always had a special fondness for them and a bond with them. I have also campaigned against vivisection, fur, circus animal abuse, cetacean captivity, greyhound racing, veal, factory farming, and animal cruelty in general. I am a vegan but not a perfect vegan. My beagle Cookie was rescued by the Virginia SPCA, fostered and adopted by my brother Ken who gave her to me. I love Cookie more than anything. The anguish that I would feel if she were stolen, tortured, and eaten would be unbearable. 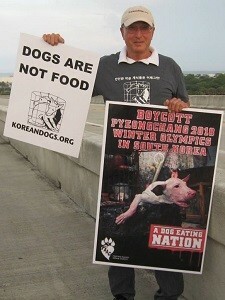 Therefore I campaign against Asian dog meat atrocities and for KoreanDogs.org in various cities, primarily in Northeast Florida. I helped organize and supplied the signs for the Washington, D.C. rally in support of House Resolution 752 which urges China to abolish the Yulin Dog Meat Festival and ban dog meat. About 75 activists demonstrated against dog meat on the U.S. Capitol grounds across the street from the Rayburn House Office Building on September 14, 2016. We passed out KoreanDogs leaflets and gave away KD promotional items. There is no truly humane meat, but dog and cat meat is the most inhumane. Our companion animals deserve much better treatment by mankind. 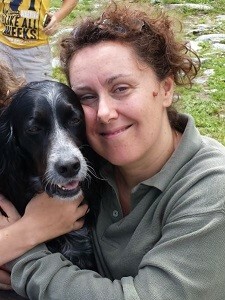 My name is Stefania, I’m Italian and I work as a professional translator. I have always had animals in my life ever since my first pet cat when I was 4. Since then, I have never been without a furry companion in my life. For a long time I have been involved in promoting animal rights, through my support for several organizations against furs, vivisection, and the exploitation of animals. I have also completed volunteer work with the WWF. When I first read in the Italian newspapers about the shameful dog and cat meat trade in South Korea, I was beyond shocked and it was almost too much for me. I felt that I couldn’t just support a cause against the trade, I needed to take affirmative action. After reading that the Koreandogs.org website was translated into Spanish by a volunteer, I decided to contact Giny and do my part to spread the word and be the voice of the voiceless. I would like to thank Giny for her continuous effort and dedication. I know that the pressure of public opinion can have an amazingly strong effect on the Korean Government and the Korean people. I want to do my part to put an end to this horrible practice together! Daniela, John and Orso Boer are a family of international animal rights activists, raised in Europe and now living in the San Francisco Bay Area with their family of dogs and cats. 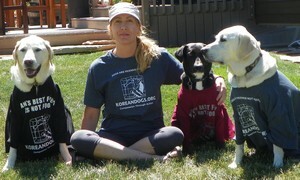 They first became involved with the Korean Dogs group after meeting Giny at one of the Bay area activists demonstrations. After hearing about her plan to spread awareness of what goes on in Korea and in other Asian countries, they decided to be a voice for the Korean dogs, knowing that awareness is key to change the world to make it a better place for all our earthlings. Orso is a Golden Retriever that spend lots of his time campaigning for multiple volunteers groups, and thanks to his mellow and easygoing character, he is an established member of several activist groups. Come and meet us at the demonstrations at the Fisherman’s Wharf! Woof! 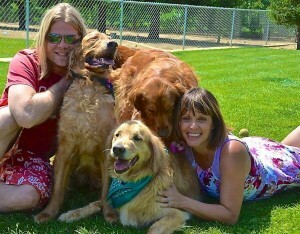 Kathy has been involved with dogs most of her life. 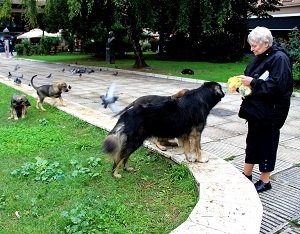 First as a dog trainer, and lately she has become involved in the campaign against the dog meat trade. 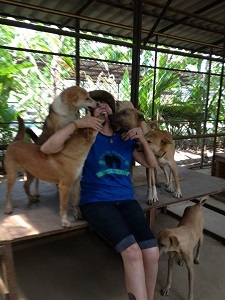 After volunteering in Thailand at several dog rescue facilities, Kathy became aware of the dog meat trade and decided to devote her efforts to stopping it. Kathy has become a member of the Korean Dogs group and participates distributing leaflets at the San Francisco Fisherman’s Wharf and spreading the word about this trade through the Korean Dogs online petitions and letter writing campaigns. The daughter of Korean immigrants, Alice Rim was born and raised in Detroit and now resides in the Atlanta area. She is a former professional pool player who since graduate school, has been active in both environmental conservation and the human rights movement, and most recently became involved in advocating animal welfare and rights. 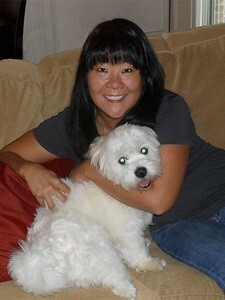 She has been volunteering for KoreanDogs.org through research, general editing and advocacy. As a Korean-American, a rescue dog parent, and an all around dog lover, she feels that the dog meat trade in South Korea is an issue that particularly hits close to home. It is her hope that with increased awareness and international pressure, the horrific industry will come to a quick end. Hi my name is Becca and I loved reading this blog! I have been doing a lot of research to find an organization that accepts volunteers to go to various Asian countries to work hands-on and rescue dogs and cats from the festival. I’m not finding too much information and was wondering if you have any references? Thank you very much! Together we can stop this!